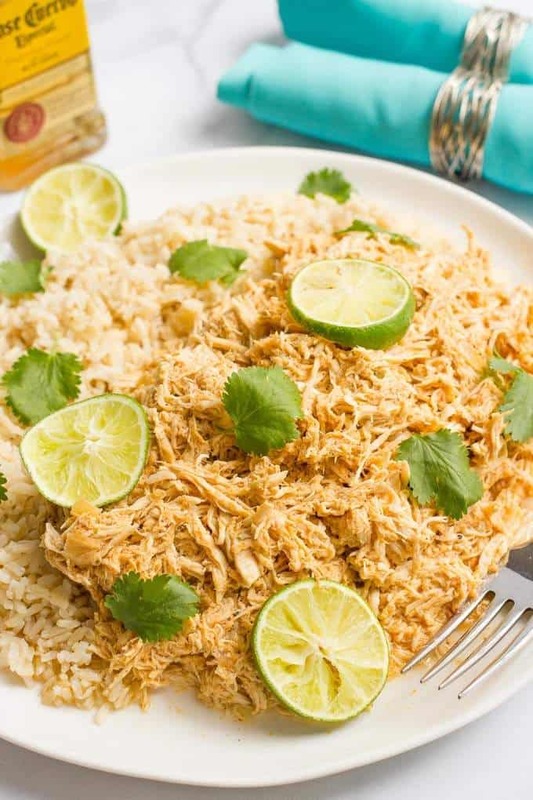 A light, bright tequila chicken recipe in the slow cooker, with lots of fresh lime flavor and just the right balance of spices. Tequila and me, we weren’t always on friendly terms. I had a memorable encounter with the stuff, the really cheap kind, during a Caribbean cruise when I was too young to legally drink it here in the U.S. And it did not sit well. And for years, literally, years and years, I wouldn’t touch the stuff. Hated even the smell of it. So I made us some fresh, from-scratch margaritas on Cinco de Mayo – and they were delicious! Hubby was kind-of impressed, I think, given my utter unfamiliarity. We devoured it that night! The sunshine, the fresh air and the lingering weekend vibes really made this seem so bright and fresh. 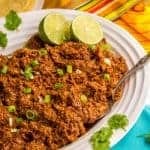 You’ll get a great hit of lime, a good dose of chili and cumin spices running through it and just an undertone of tequila. I served it as a rice bowl, but you could absolutely make tacos or enchiladas with this too. Hubby laughed at me, though, because I used our really good tequila to make this. It was all we had! So now I have a bottle of regular tequila just to use in cooking – don’t I feel like a tequila connoisseur all of a sudden! I made this again a few weeks later and took half of the batch to a friend who just had a baby girl. I figured, what does a new mom need if not to catch up on all the alcohol she missed for the last 9 months? Kidding. Sort of. 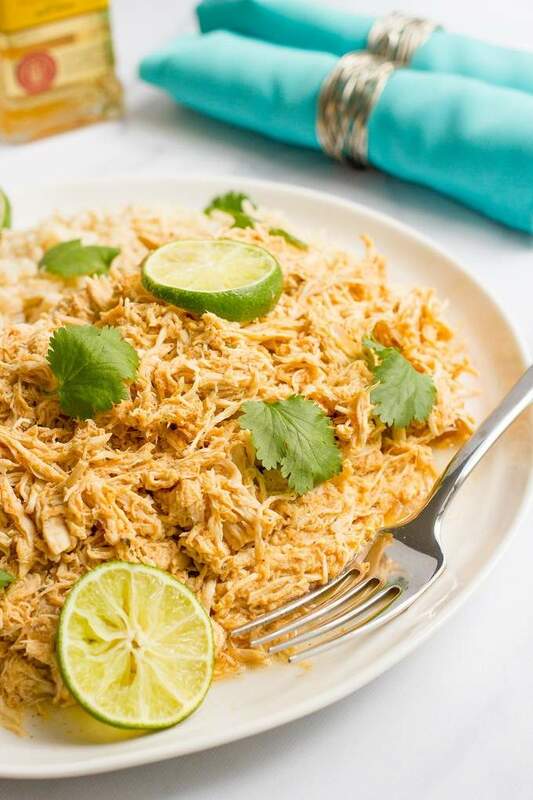 If you are a Mexican food junkie like me, and especially if you have a soft spot for margaritas, you will love this easy tequila chicken. 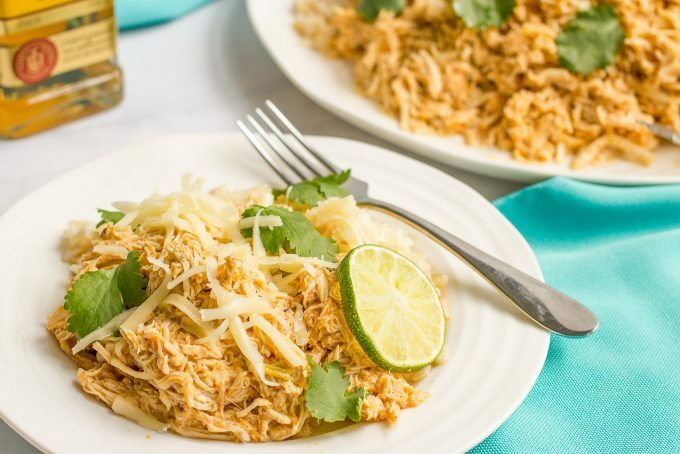 Slow cooker tequila chicken is easy with lots of fresh lime flavor! 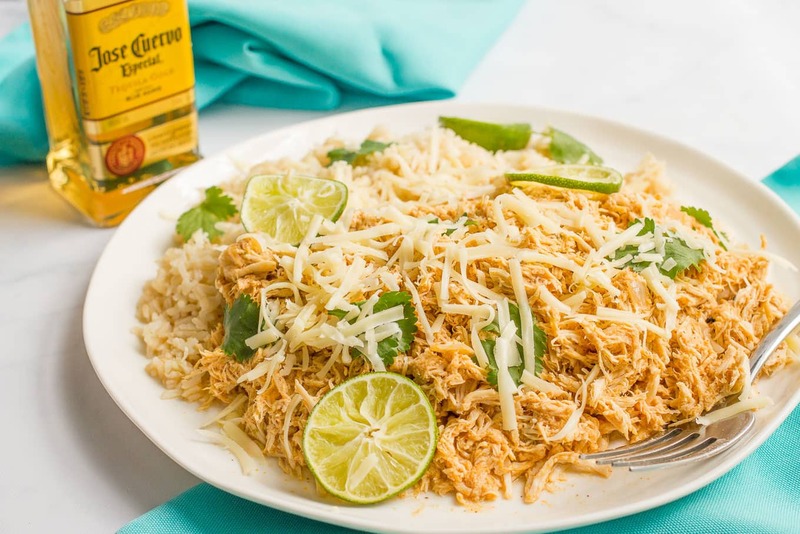 Combine all of the ingredients, reserving one lime for later, in a 5- or 6-quart slow cooker. Cook on low for 6-8 hours or on high for 3 1/2 to 4 hours. 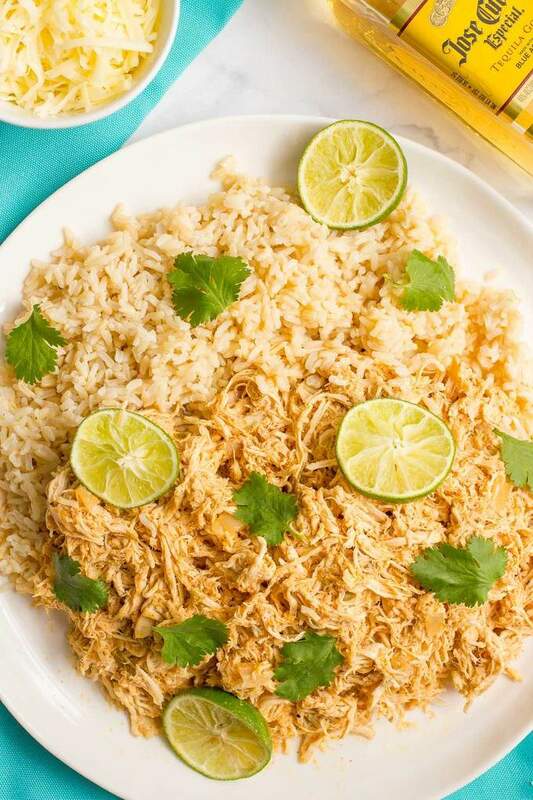 Squeeze the juice of the remaining lime over the chicken and stir to combine. Season to taste with salt and pepper. 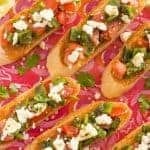 This recipe makes a lot! 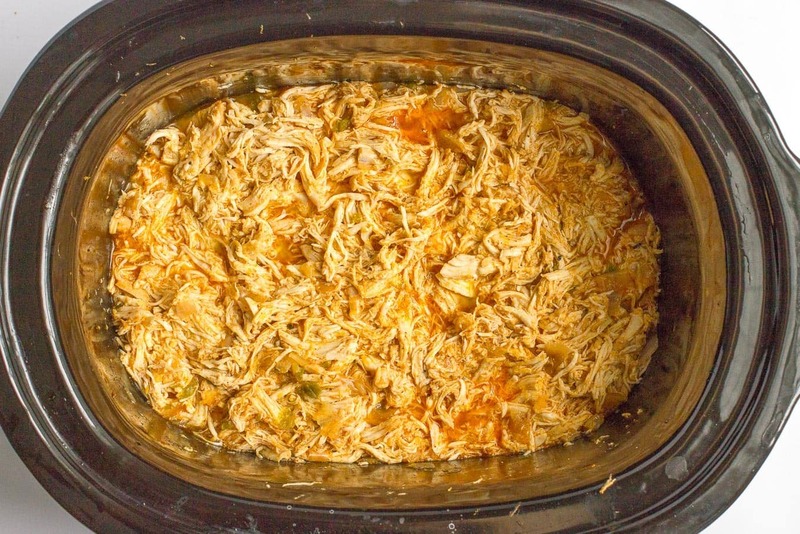 It freezes great - I just pop the extra shredded chicken and some juice from the slow cooker into a labeled Ziploc freezer bag. 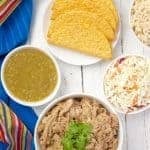 You can use the extras for tacos and enchiladas, burritos or even with a salad. Of course, you can easily halve the recipe, too, if you prefer. Tequila and I are always on good terms. 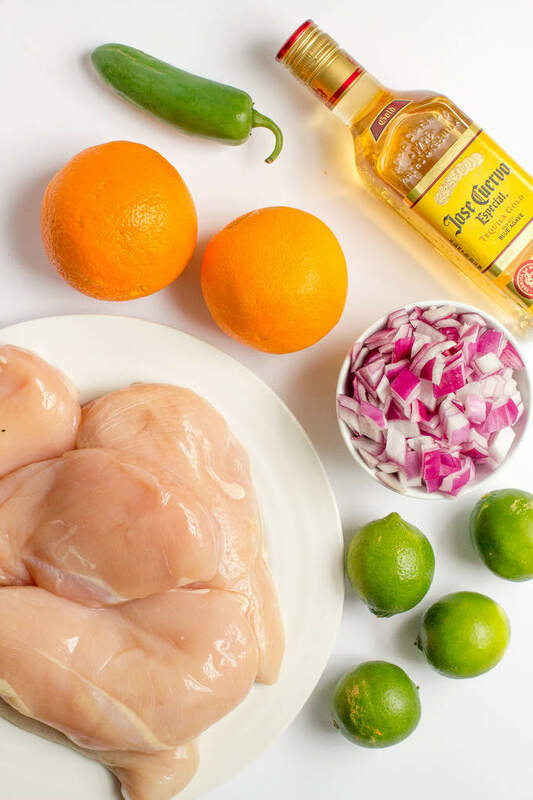 😉 And great minds think alike, because I have a tequila based chicken recipe coming up soon! But mine isn’t as genius as yours, because I didn’t use my BFF the slow cooker!! Womp Womp for me. 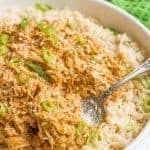 I use the slow cooker more in the summer than I do the winter, so this chicken is seriously calling my name! Love this, girlfriend! Cheers! You will love it Lisa!! 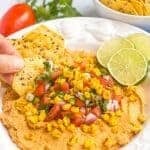 This is such a great summertime slow cooker recipe! 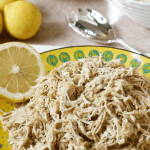 You know how much I love any and all slow cooker chickens! I feel the exact same way about tequila – I’m not really a snob when it comes to alcohol but only the finer tequila for me and my margaritas for the exact reason you pointed out. Pinning this one! Haha, glad we’re on the same page here! Thanks Deanna! Oh, tequila. It can be our best friend or our worst enemy, it seems! In this case, it’s definitely our friend. Love this idea and that it can be used so many ways! I’ve gotta try it out! Thanks Ginger! Hope you give it a try! Oh yum! I just happen to have a bottle of tequila in my pantry, so I think I am going to put it to good use this week. Your recipe sounds amazing! Thanks so much! How convenient 😉 Thanks Julianna, hope you do give it a try! 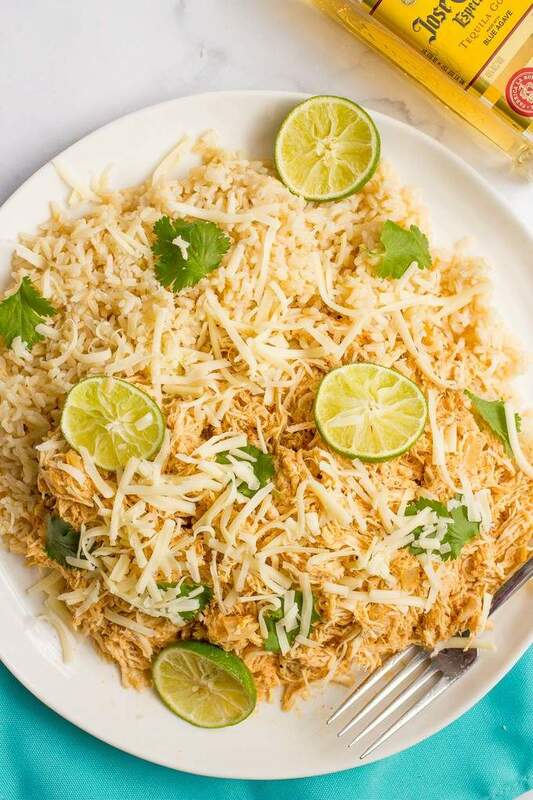 Good tequila is the best, cheap tequila makes you do things you might regret the next day:)) I love tequila lime grilled chicken and making it in the crockpot is genius. Thanks for sharing with us at Throwback Thursday. Pinned!